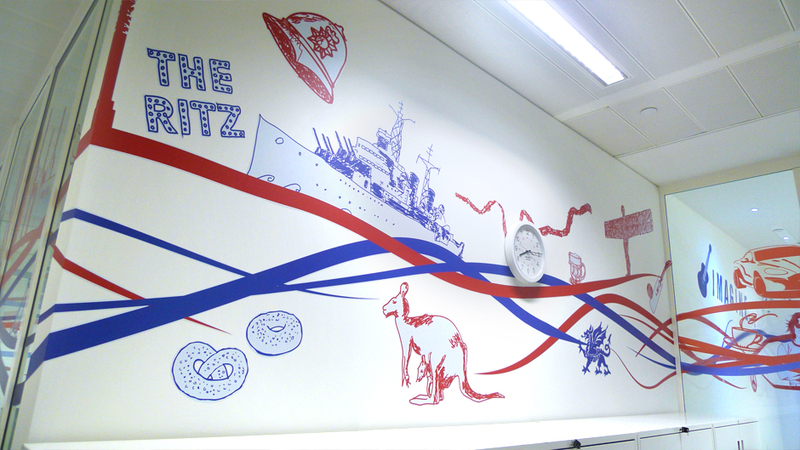 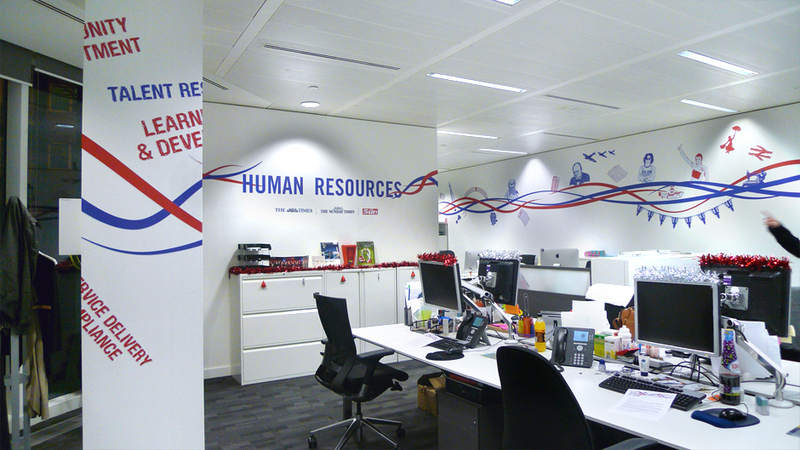 We were asked by News International to create a graphic installation in the Human Resources department. 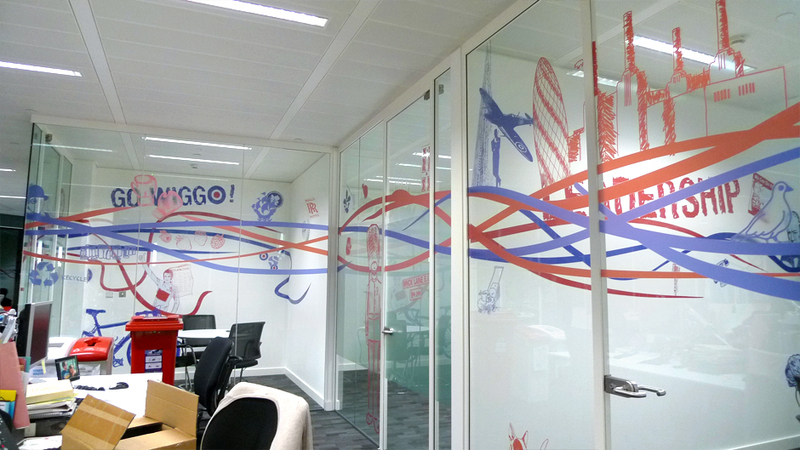 We met with the team responsible for the project and they explained the ideas behind it. 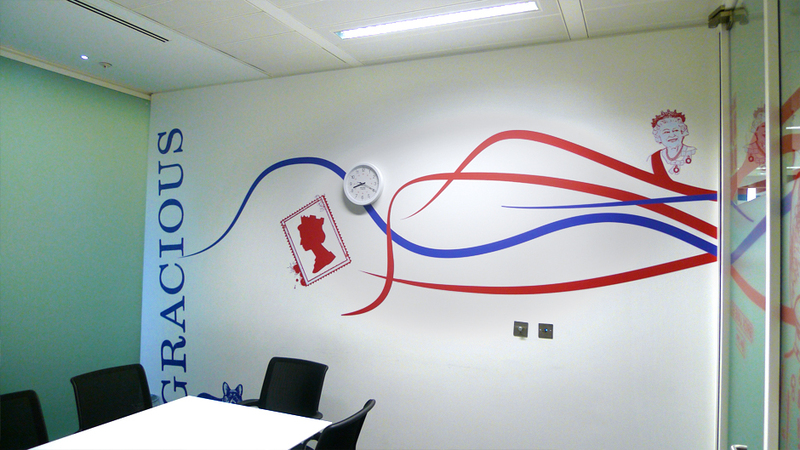 They wanted something that represented the proud feeling that was felt nationwide from the huge success of the 2012 Olympics in London and asked us to create graphics under the title ‘Best of British’. 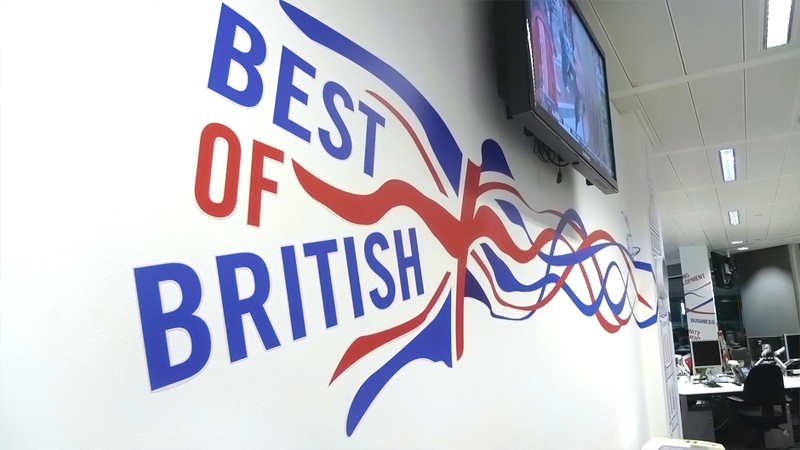 News International carried out an internal survey asking members of staff what ‘Best of British’ meant to them. 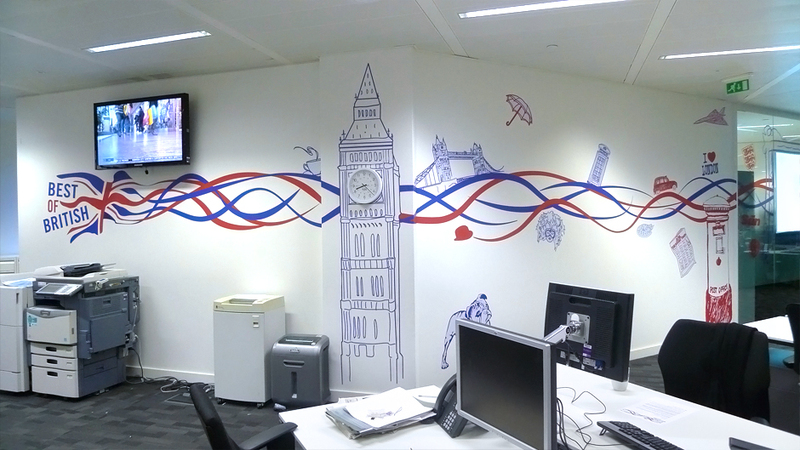 Using the results from this survey we decided that it would be nice to create a sketch style that flowed through the entire office. 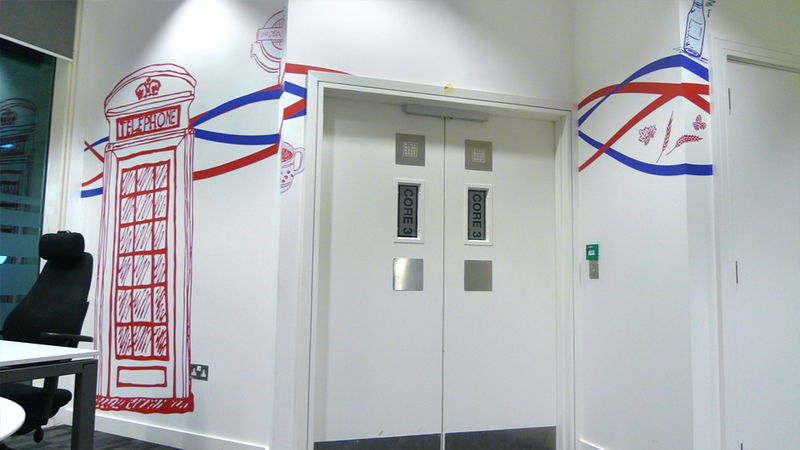 We drew hundreds of simple illustrations of things and iconic people such as John Lennon, Bradley Wiggins, The Queen, Winston Churchill, Telephone Boxes, a red Post Office box, a bulldog, etc. 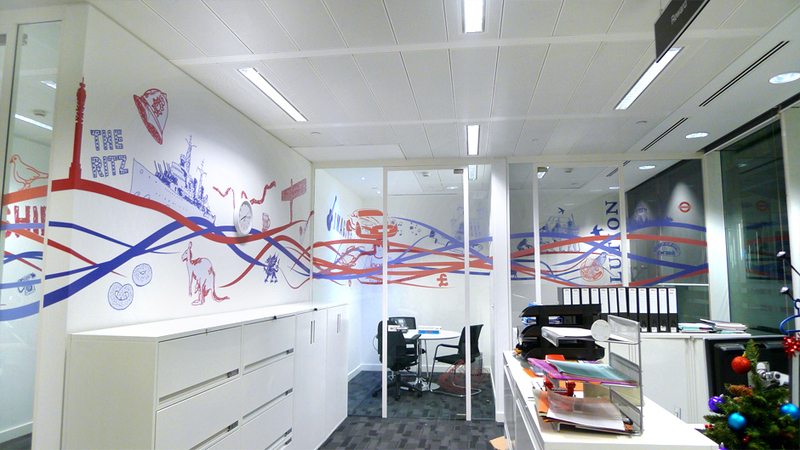 The start of the space shows the title ‘Best of British’ with a Union Jack which segments and comes to life flowing around the walls and glass partitions throughout the offices. 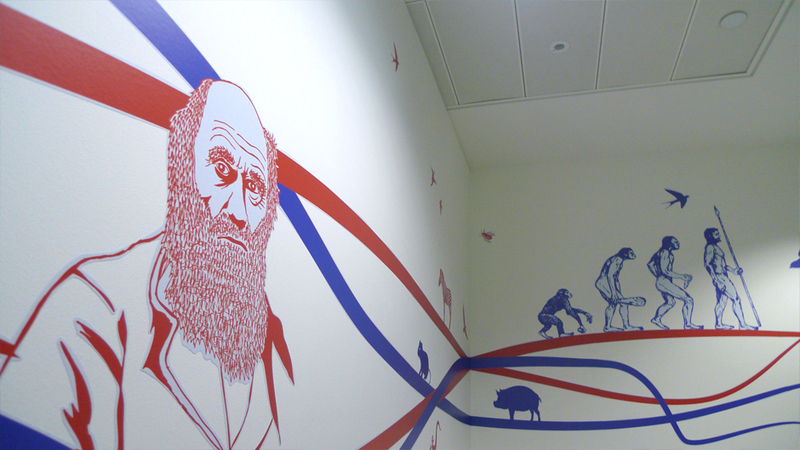 The illustrations are then scattered throughout with each meeting room given an iconic person which that meeting room is now named after. 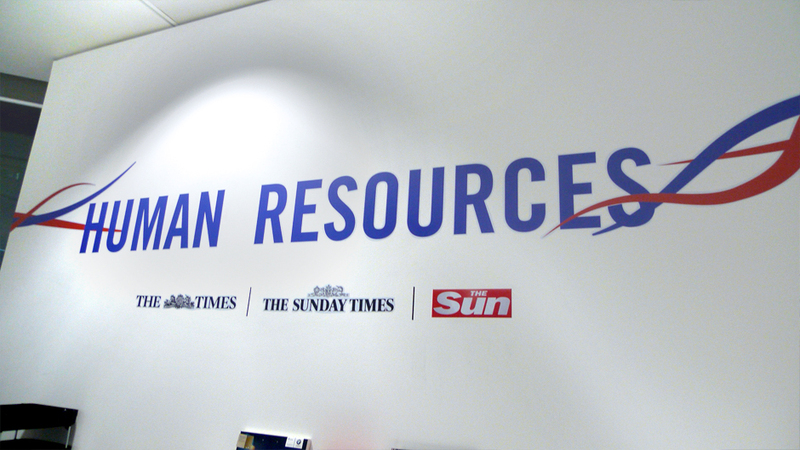 We then managed the print production and arranged for the installation to be carried out out of hours so as not to interfere with the office workers day and also to surprise them when they walked into the office on the Monday morning. 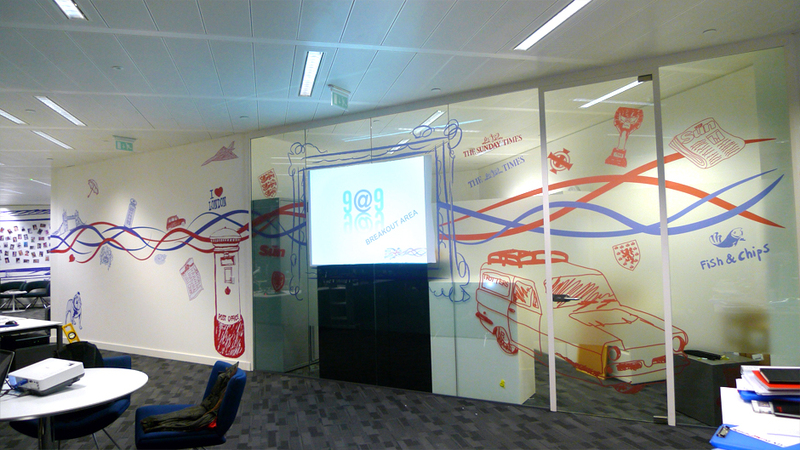 We also installed a magnetic wall and projection screen.